And If There’s Anything I’ve Forgotten, I Apologize For That, Too. And For Forgetting To Apologize. Sorry. I would like to take this moment to offer a sincere, public and redemptive apology for my recent comments. I in no way meant them. And while I stand by my assertion that some of them were taken out of context, and others I was tricked in to saying, I regret any hurt they may have caused. Obviously, as awesome a cow as I would have been, there’s only so much I could have done. 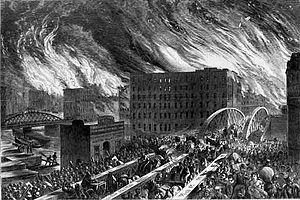 I deeply regret my comments regarding the Chicago Fire of 1871. I was being insensitive when I said that if I’d been Mrs. O’Leary’s cow, that things would have gone differently, and that even if I had kicked over a lantern – which I wouldn’t have – I would have been on the front lines putting out the fire. I didn’t mean to imply that I’d make a better cow that Mrs. O’Leary’s cow, nor was my intention to re-open the wounds of any residents of Chicago still trying to get over the tragedy. I am very sorry for my statement that “the Jews are responsible for the world’s hurricanes.” After an evening of quiet introspection and a little time on Wikipedia, it has become clear to me that this is not only patently false, but that I am unclear on what a “Jew” is. As you can see, there are many, uh, lovely, things about Needles. Like, um… hey, look at that next apology! 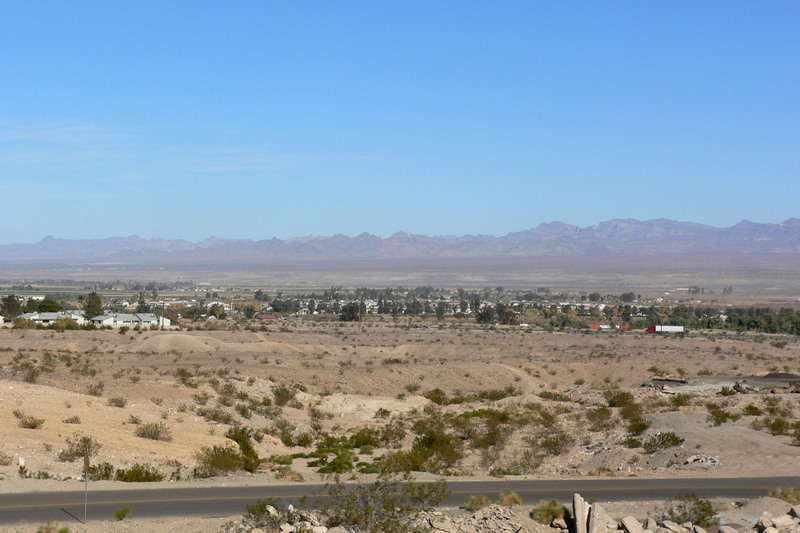 I would also like to take this opportunity to apologize to the residents of Needles, California, for saying that their city is “ugly as hell and twice as hot,” and that an “atomic blast in the middle of downtown could be regarded as urban beautification.” This was insensitive to the good citizens of Needles, whose lives are already bad enough. I’m very sorry I called all those men stuck in the collapsed mine “cry-babies.” I don’t know where that came from. It should go without saying that I regret my lengthy diatribe against Bill Keane’s comic strip “The Family Circus,” and my assertions that it’s not funny, that it’s just too cutesy for its own good, and that it’s “about as creative and vital as a bridge game at the senior center.” While I cannot retract my sentiments in good conscience, I acknowledge that Bill Keane’s memorial service was neither the time nor place to express them. You are very important and have a lovely symmetry. I was a fool to not see it. To the students of my third-grade class, and to the teacher, Miss Hall, I would like to apologize for any distress and trauma caused by my pretending to snore and fall out of my chair asleep during a lesson I found boring. It was insensitive of me to distract from the lesson, and to potentially damage my colleagues’ understanding of the multiplication tables. I would also like to apologize to the multiplication tables for my suggestion that they are boring. This is, of course, absurd, and I should never have implied otherwise. I still maintain that my comments were taken out of context in regards to Hurricane Katrina being “a complete fabrication of the liberal media” and that “no physical evidence exists that it ever happened,” but – nevertheless – I apologize for any hurt those remarks may have caused. Okay. I think that about covers it. Oh, right. Also, to the people I hurt during the time I was head of Citizens For Traditional Family, after it was discovered that I was simultaneously maintaining 7 different families and managing a small chain of gay bath-houses, I’m very sorry for any hurt that that 11-year slip in my ethics – which I hold very dear -may have caused. Well, that felt great. Phew. And how about you? We know Mark Wahlberg’s answer, but – just in time for your Weekly Question of the Week – what apology would you like to make? If none, what public apology would you most like to hear? ← Movie Stars: Is There Anything They Can’t Do? I would like an apology from Sarah Palin, Michelle Bachman and Rick Perry for destroying my dreams by dropping out too early. I have some pretty weird and twisted dreams. Maybe because I eat chimichangas right before bed. I was disappointed Palin dropped out. That was going to be the most entertaining presidential run ever. I would like “bad boy” TV cook Guy Fieri to apologize for his hair, and while he’s at it, I’d appreciate an explanation as to why he wears his sunglasses wrapped around the base of his neck. Does he have eyes in the back of his head? Is his cerebellum light sensitive? I’ve never understood the ‘glasses on the back of the neck’ thing. Is that really that much more comfortable and convenient than hooking them over a shirt front? Or pocket? Do people think it looks sharp? I guess we’re not quite “baaad” enough to appreciate the appeal. I will bet that he probably scratches the lenses if he shoves them on top of his head like a normal person. On behalf of Italians everywhere, I’d like to apologize for The Jersey Shore. You’ve still got The Godfather and baked ziti going for you. Oh, and much of the art and culture in the world. But it is impressive how much damage they’ve done. I probably ought to apologize for butchering the English language so consistently and overusing the foul portions of it… but you know what I’m gonna say to that. And no apology to Needles was necessary. You’re quite correct about it. 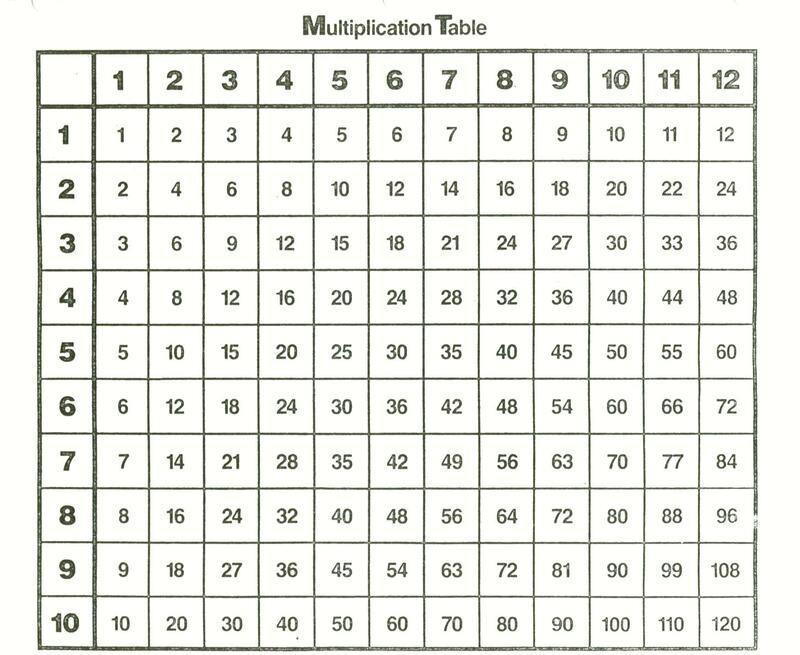 Is it wrong that I really DO find that multiplication table attractive? And if so, I kind of feel like I should apologize for it. Another way to look at it is that there was a real percentage of people laughing. In fact, 95% of the room had the same, strong reaction to your joke! I would like an official apology from Peter Jackson for leaving out the Scouring of the Shire. The only thing Needles, Ca has going for it is that Snoopy’s brother Spike lives near there. It’s difficult to know exactly what a Jew is, especially since it’s not playable in a game of Words with Friends. I know! The Scouring is even such a “movie” ending! That’s it, bad guy’s defeated – uh oh! Wait! Not yet! And I think it speaks volumes that Charles Shultz needed some awful, desolate place to make Spike come from, so he picked Needles. Perhaps I should apologize for using my blog as a public forum to mock everything I dis-agree with. But then again, those are the exact type of blogs I enjoy reading the most…… hmmm…..and thank you for the follow, Oh Sardonic One, it is most appreciated! That’d be a good idea – maybe once a year offer a quick “Sorry for everything in the past year that was offensive, poorly thought out, etc. Then, on to the new year! I apologize for not having a brilliant comment to leave here, and for not knowing what I should apologize for. I’m going to call my mother and find out. I’m sure she has suggestions. And I think Sarah Palin should apologize for making people thing she was ever running for president, because she never was. Ditto Donald Trump. Who should just apologize for opening his mouth about anything not related to his businesses. Oh, I think Trump wouldn’t be out of line apologizing for things he’s said related to his businessses. As an Australian, I feel it is only appropriate to apologise for Crocodile Dundee 2. And everything else Paul Hogan appeared in after that. And while I’m at it, I apologise for using British spelling for the word apologise. Well, there’s still the Mad Max films and Men At Work/Colin Hay, so I think all is well. Oh, that last bit of apologising says it all, doesn’t it? I don’t understand why, at this point, when someone claims to be a crusader against – say – gay rights or something, we don’t just assume they’re homosexual. I think someone should apologize for the mess the economy is in – several someones as a matter of fact. They should all be stripped of their wealth & it should be divvied up by all the people who were put out of work, out of their homes, etc. I agree, though in the grand tradition of politics and big business spin, I’m sure the end result would be some reason why the unemployed and struggling should apologize to the hard-working CEO’s. I am from South Carolina and I would like to apologize for all of our political decisions for roughly the past 200 years. From seceding from the union, to our cheating governor who claimed to be hiking in the mountains but was really with his lover in another country, to being the birth place of John Edwards (another cheating pig) to choosing Newt as the republican nominee. I just really cannot convey how sorry I truly am. Magical. Sorry if that offends you. Sorry for making you apologize. And for the delay in my reply.